ERP end-user training plays a vital role in the success of ERP implementation. Around 18% of the cost of the ERP is spent on end-user training. The main objective of the training is to help end-users utilize the ERP system to its fullest. Usually in a classroom setting, trainers demonstrate how to use the software and how it works. But the real question is, how do you let your users practice using the ERP in a risk-free environment? This risk-free or test environment can be created using simulations. Using simulations, you can show the step-by-step process of the ERP system and allow the learner practice in a safe, interactive environment as if they were in a live ERP environment. These simulations can be created using various tools such as Adobe Captivate, Camtasia, Adobe Flash, Articulate Storyline, and many more. In today’s blog, let’s take a look at some of the benefits and features of using Articulate Storyline to record your next interactive software simulation. Now let’s see how to create and convert those screenshots into simulation-based software training. Import the screenshots of the tool in sequence to a new slide or individual slides, depending on what you want to produce. If you want the output to be a video, you can import all the screenshots to a single slide. Import screenshots to individual slides, if you want to produce simulations. In this step, we have to give mouse actions to the screenshots. These can be either clickable or selectable. Note: There are loads of mouse types we can select and you can add more settings such as sound, double click, and color as shown below. If you need an entry type interactivity, for example to let a user enter the login credentials into the ERP, use the “Data Entry” field option. You have two options in data entry, “Text entry” or “Numeric entry”. You can choose any of these options to let users enter either text or numeric values to access the tool with his login credentials. You can manage these three modes with Actions in any circumstances. 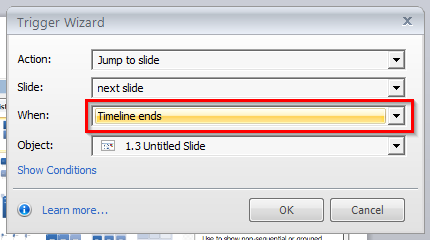 For example, you can develop a Watch simulation, and add a small Action at the end (jump to next slide when timeline ends) of every slide. Similarly you can develop the other two modes with some actions. 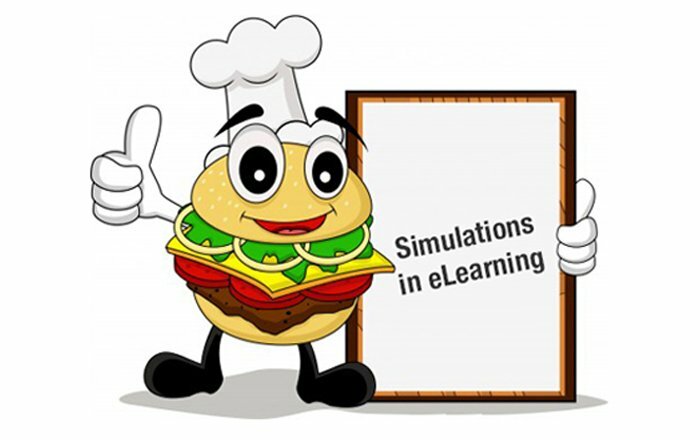 This way, you can easily create simulations using Articulate Storyline, the development time is very low compared to other tools. 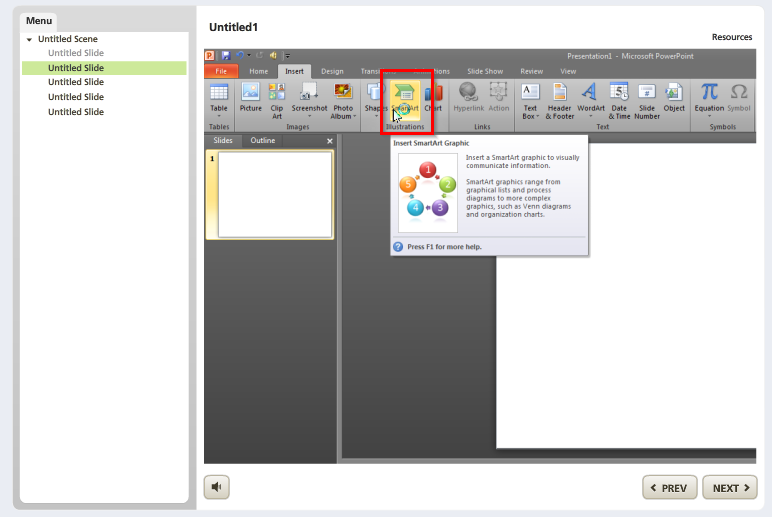 Hence Articulate Storyline is an ideal choice to develop software simulations. Do let us know your thoughts on the same. Get in touch if you need help with ERP training.